Abstract: Trove is the national discovery service for Australia managed by the National Library of Australia. It was released in December 2009. It contains metadata for millions of freely accessible items, from more than 1,000 contributing institutions. The focus is on Australia and Australians. In 2011 it was developed further to include selected sets of e-resources subscribed to by Australian libraries. Trove v4.0 was released in May 2011 after 120 million subscription e-resources were successfully included. This took the Trove content total to almost 240 million items. This article describes why and how the work was undertaken, what was achieved, the issues and future plans for development. Abstract: The Semantic Web has to date promised far more than it has been able to deliver. Libraries have been understandably cautious about investing extensively in ontology creation, mapping data to semantic representations, or tackling the hard problems of semantically describing collections and services. We look at the evolution of network addressable services, to service oriented architectures, and now toward semantically enhanced service oriented architectures. We also investigate various library technology standards that might influence semantic service and collection descriptions, as well as semantic registries. Next, we describe our own efforts to build a semantic registry of services and collections, for semantic metadata collections. Finally, we speculate about how these standards may evolve in the future. Abstract: Text is a texture of interwoven threads that enable comprehension. Beyond the words themselves, conventions and structures, which we call coordination widgets, have been developed to support the reader's comprehension and navigation of text. These coordination widgets include Tables of Contents, Structured Abstracts, Reference Lists, and Footnotes. Although they are known to every reader, they are rarely considered as a group. The widgets depend on a high degree of structure in the text and are related to the structural descriptions of composite hypertexts. They also depend on the type of descriptive material that links to the text. We develop a framework for these widgets that builds on hypertext structure, discourse elements and genre theory. The framework both describes traditional widgets that have been developed to support paper-based publishing, and can be applied to environments for supporting interaction with electronic text. As eBooks and eReaders proliferate, the need grows for tools to support better navigation and comprehension of electronic text. Ultimately, the widgets, and the proposed framework, point the way to a new generation of publishing standards for interacting with multimedia and hypermedia environments. Abstract: This paper examines users' comments on the Facebook pages of 20 American academic libraries and subdivides them into 22 categories. A total of 3,513 posts were examined and analyzed in various ways, including how many of the posts included user comments and how many had none; how many comments were included in each post; and what the percentage of user participation was on the library walls, in terms of "likes" and comments. The most significant findings are that approximately 91% of the posts do not include any comments, over 82% of user participation is expressed via the "like" functionality and most comments on academic libraries' Facebook pages are not uploaded by prospective users (i.e., college and university faculty and students) but rather by library personnel, employees affiliated with the same institution as the library, and alumni. Abstract: Since 1999 the CERN Workshop on Innovations in Scholarly Communication, known as the OAI conference series, has been an important resource for the international community involved in the Open Access movement. Librarians, researchers, administrators, and information scientists can all share experiences and opinions by attending the Plenary Sessions or the more specific and technical Tutorials. This was the format for the most recent of the OAI series (CERN Workshop on Innovations in Scholarly Communication  OAI7, University of Geneva, 22-24 June 2011). "Openness" was considered from many points of view, taking into account current research, best practices and technical innovations as well as economic and political aspects. Abstract: The 10th European Networked Knowledge Organization Systems/Services (NKOS) Workshop took place from September 28-29, 2011, in Berlin, Germany, as part of the International Conference on Theory and Practice of Digital Libraries (TPDL 2011, formerly ECDL). NKOS is a community of researchers, developers and practitioners seeking to enable knowledge organization systems as networked interactive terminology and knowledge organization services via the Internet. The main topics of the workshop were "SKOS and Linked Data" and "Relation between Ontologies and (other) KOS". Report on the Workshop "Linking Research and Education in Digital Libraries"
Abstract: The goal of the workshop "Linking Research and Education in Digital Libraries", held 27-28 September 2011 in Berlin, was to further a discussion begun at an earlier workshop in Parma in November 2010, on how to better exploit the results of research for education in Digital Libraries, or more generally, education for information workers. The theme was a review of the roles of information professionals, considering not only the impact brought by the advances in the technical dimension, but also other dimensions such as policy, quality, user profiles, and legal aspects. 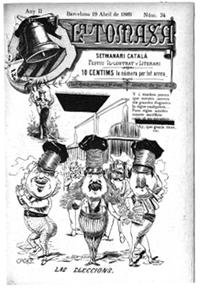 The Digital Memory of Catalonia (MDC) is a cooperative open-access repository containing digitized collections related to Catalonia and its heritage. 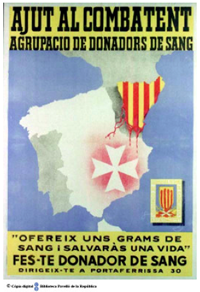 The MDC includes digital copies of photographs, drawings, maps, posters, pamphlets, incunabula and many other items with a total of over two million documents related to Catalonia from 18 different institutions (universities, specialized libraries, archives, etc.). It also includes 274 ancient Catalan periodicals digitized through the Archive of Ancient Catalan Periodicals (ARCA) portal of the Library of Catalonia. The main purpose of the MDC is to increase the visibility and consultation of the special and heritage collections of libraries in Catalonia. It prioritises the inclusion of the most unique and exceptional documents, and those likely be consulted by a larger number of users. The repository contains such important collections as the first images of the albino gorilla Floquet de Neu playing in its natural environment at the Ikunde Centre in Equatorial Guinea, images about Catalan farmhouses from the beginning of twentieth century and, in the ARCA, periodicals published clandestinely during the Franco dictatorship. It also has outstanding collections related to the political, economic, social and cultural events that took place during the Spanish Civil War. The MDC was set up in late 2006 in the CONTENTdm programme of the OCLC. Since then, some local developments have been made such as the possibility of viewing the search results in collections of images, texts or periodicals. The images meet international standards of description (Dublin Core) and interoperability (OAI-PMH), which has made it possible to increase their visibility by offering them jointly with other international repositories such as Europeana and OAIster. The MDC is promoted by the universities of Catalonia and the Library of Catalonia, coordinated by the Consortium of Academic Libraries of Catalonia (CBUC) and with the participation of other Catalan institutions.